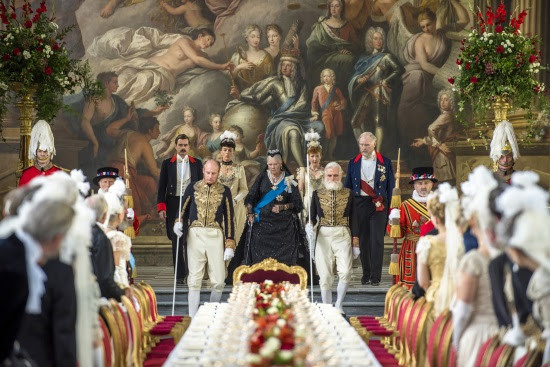 Focus Features film VICTORIA & ABDUL has opened in NY and LA, but is also expanding to additional cities. If you like films with a historical background then go see VICTORIA & ABDUL. Note: I was invited as media by Focus Features to the movie screening. However any personal views expressed are always 100% my own. 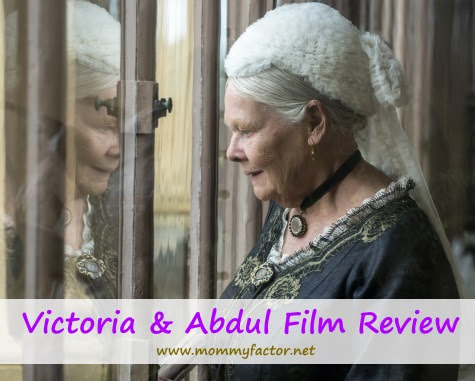 While the main appeal is the true life and scandalous friendship between Queen Victoria and Abdul Karim, a native East Indian Muslim helper, the film offers a unique depth into the personality of Queen Victoria. While those around Queen Victoria treat as royalty, it's to the point where they forget the person she is. Everyone is just waiting for her to pass on, so her son can become king. A man who is himself more interested in the perks of ruling then getting to know the people he's ruling over. 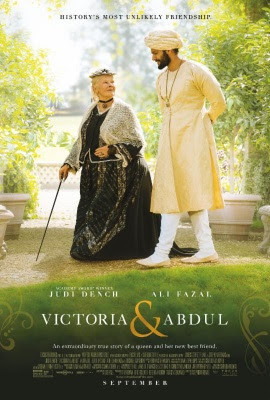 But from the start of the film when Abdul (Ali Fazal) catches the eye of Queen Victoria (Judi Dench), we see that there's lots more to the quiet, semi bored women. Abdul then becomes the trigger to encourage the Queen to once again be active in life. Ali Fazal brings such well timed humor and almost hero worship during his scenes. For a lot of the movie he's an objected of hate and ridicule. But he see's past all of that. He doesn't listen to all the gossip and only whats to make The Queen happy. Isn't that true friendship?! Judi Dench does an amazing job showing the audience the complex emotions and thoughts behind the women who is Queen. And while she has lived a long life, she's not done learning and being excited about life and people. She even starts learning Urdu! Throughout the movie we see how a friendship formed out of curiosity about another person can give our lives more meaning, more focus, more depth. It's a great message and a very timely considering the worlds current social and cultural drama. 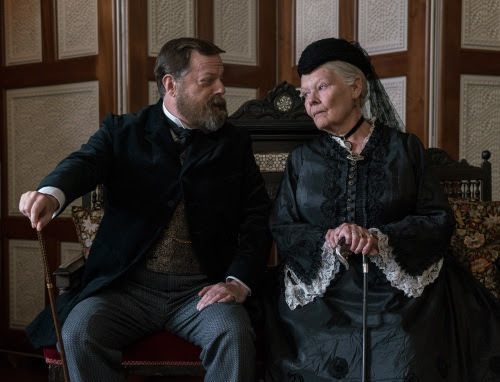 The extraordinary true story of an unlikely friendship in the later years of Queen Victoria's (Academy Award winner Judi Dench) remarkable rule. When Abdul Karim (Ali Fazal), a young clerk, travels from India to participate in the Queen's Golden Jubilee, he is surprised to find favor with the Queen herself. As the Queen questions the constrictions of her long-held position, the two forge an unlikely and devoted alliance with a loyalty to one another that her household and inner circle all attempt to destroy. Entries must be made on or before 11:59 p.m. October 10, 2017. I love Historical Romances and I'm always looking for lipbalm. I'd like to win this because I'd love to read the book before I see this fabulous movie! I want to win this prize because this movie looks really good and I'd like to read the book. We are very excited for this movie! It would be awesome to win this prize package! Thank you! I would like to win the prize because I am now interested in reading the book. Very interesting story. I would love to win. I'd mainly like to win for the sake of the book. I'd always rather read the book than see the movie. I would like to win because I really want to read the story before I see the movie. It sounds fascinating. The trailer looks great. I would like to win because I love to read different genres. I' like to win because I've never heard this before and it sounds like a fascinating story! I am very interested in this story.